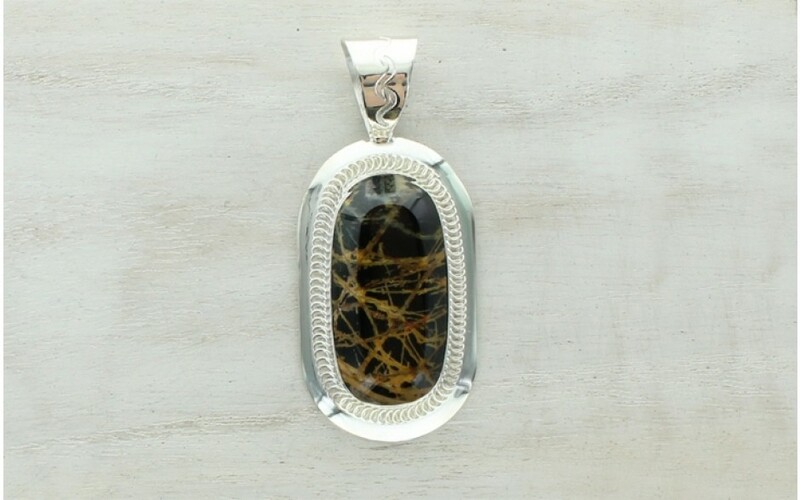 A dark brown, almost black Pilbara stone displays tan webbing that makes this stone a most intriguing one. It is oval shaped with a beveled edge and polished to a smooth shine. The stone is bezel set in sterling silver with a decorative trim. The simple bail features a simple stamped design on the front side. 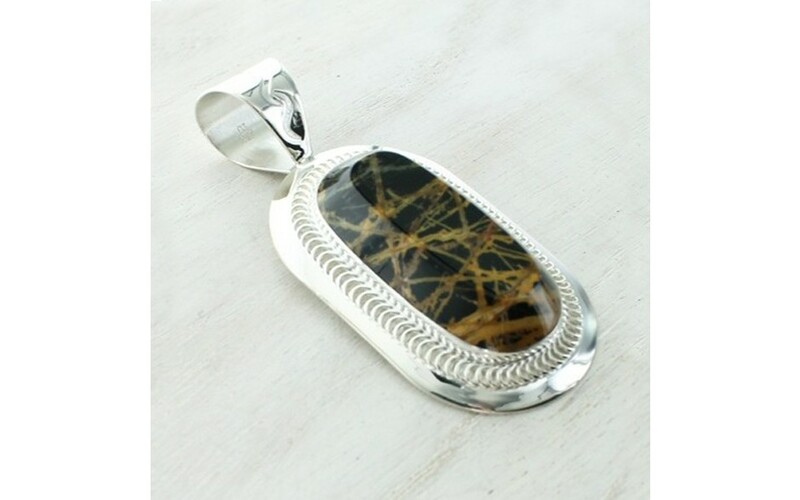 The pendant measures 2 5/8" long by 1 1/8" wide.